Facelift surgery reverses the aging changes and rejuvenates the middle and lower face. It can be performed alone or in combination with other surgery. Areas of concern are usually the cheeks, jowls or neck. There are many techniques of facelift surgery, which involves the lifting and repositioning of different areas of the face. Tightening and lifting the fibrous muscular layer of the face ensures long lasting results. This can be achieved by either excising tissue and re-stitching or lifting with stitch techniques. The excess skin is then repositioned, trimmed and stitched in place, and fatty tissue can also be removed. Less tension in the skin helps with scarring. Skin only facelifts have a high incidence of recurrence. Incisions run in front of the ears, around the ear lobes and into the groove behind the ears. Incisions may pass into the hairline or skirt around the edges of the hair. Dr Kippen will explain the merits of each technique. Usually a small incision under the chin allows correction of neck skin laxity, muscle tightening, fat resection and the placement of chin implants if required. Through these incisions, access is gained to the strong fibrous layer beneath beneath the skin. Tightening and lifting this layer provides a stable base for the facelift. Some ligaments that tether the skin may need to be released and strong stitches hold this base layer in position. The repositioned and tightened skin is carefully stitched in place. The procedure is completed with dressing, a head bandage and possible plastic drainage tubes. Facial bruising and swelling is variable and peaks at about 3 days. This gradually resolves by about 2-3 weeks but there may be some persistent swelling for longer. Sleeping in a “head-up” position helps reduce the swelling. Early scars may be thick, lumpy and pink. 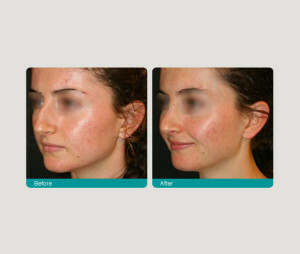 Wound healing and scar management will be explained to optimise the outcome of facial scarring. The final results of scars cannot be predicted. After the operation the face and neck feel tight. The skin in front of and around the ears may be numb and can extend to the hairline. This usually recovers, but may be permanent. Men need to take extra care with blade shaving or use an electric razor. Care is also needed with hairdryers to avoid burning the numb skin. Tingling usually heralds a return of sensation. Most discomfort is felt behind or adjacent to the ears. This is usually short lived. Infection in facelift surgery is rare, but bleeding can occur and may need a second surgical procedure to drain it. The facial nerve moves the muscles of expression and damage or stretching of this nerve can result in paralysis, a rare but recognised complication of facelift surgery. Usually the paralysis is due to stretching or bruising of the nerve branches or as a result of a local anaesthetic. In these cases the nerve and thus the movement will recover. Temporary unevenness or asymmetry may be noted, and facelifts do not address the small lines around the mouth or the deeper lines above and below the mouth (nasolabial folds or Marionette lines). Hair does not need to be shaved for the operation. Washing hair the day before surgery and not wearing makeup on the day of surgery is helpful and will also decrease the risk of infection. Hair colouring can be started 4 weeks after surgery. Sutures or stitches are removed between 3 and 5 days after surgery. At this time wounds are checked and scar management techniques are explained. Cotton buds are useful to clean hard to reach areas. Antibiotic eye ointment may be used on the scar lines. A detailed wound care plan will be explained and provided. Recovery is variable but social appointments can be made from about 2 weeks. Avoiding strenuous activity, lifting, stooping and bending in the early stages enhances recovery.